Good rock pools at the West end of the beach. interesting fauna and flora at the back of the beach. 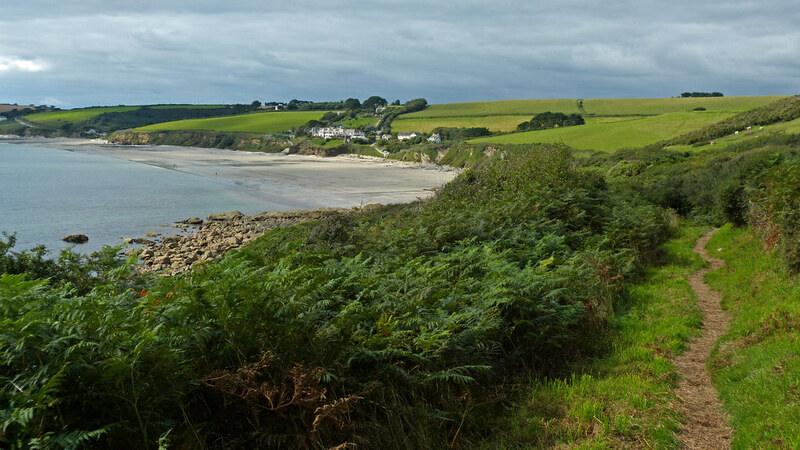 On the Cornish Way Cycle Route and the South West Coastal Path. Good footpaths from Veryan. Good options for circular walks. The beach is cleaned weekly in the Summer. less in the Winter. by the National Trust. and litter bins are not provided. Dogs are allowed on the beach but must be kept on the lead between May and September. Where is Pendower - Carne Beach? From Veryan along narrow lanes. There are car parks at Carn and Pendower. Easy access from both car parks.